tapered off, and the winds weakened. were a challenge, and varied considerably over a small distance. Bald Mountain Snotel...              5 inches. Bone Springs Divide Snotel...        1 inch. 9.5 SW Lander...                    13 inches. Townsend Creek Snotel...            11 inches. Deer Park Snotel...                  9 inches. St. Lawrence Alt Snotel...           6 inches. Cold Springs Snotel...               5 inches. Little Warm Snotel...                2 inches. Burroughs Creek Snotel...            1 inch. Castle Creek Snotel...               1 inch. Little Goose Snotel...              15 inches. Cloud Peak Reservoir Snotel...       4 inches. Bear Trap Meadow Snotel...           3 inches. Hansen Sawmill Snotel...             1 inch. Willow Creek Snotel...               4 inches. Star Valley Ranch...               2.5 inches. Hams Fork Snotel...                  2 inches. 3 SE Bedford...                      2 inches. 5 SSE Smoot...                       2 inches. Cottonwood Creek Snotel...           2 inches. Spring Creek Divide Snotel...        2 inches. 2 SE Thayne...                     1.5 inches. Blind Bull Summit...                 1 inch. Box Y Ranch...                     0.1 inches. Reno Hill Snotel...                 17 inches. Casper Mountain Snotel...           14 inches. Grave Springs Snotel...              4 inches. Timber Creek Snotel...               4 inches. Evening Star Snotel...               2 inches. Larsen Creek Snotel...               4 inches. Pocket Creek Snotel...               4 inches. Big Sandy Opening Snotel...          4 inches. 13 NE Big Piney...                 2.5 inches. Snider Basin Snotel...               2 inches. Gunsite Pass Snotel...               2 inches. New Fork Lake Snotel...              2 inches. Loomis Park Snotel...                2 inches. Kendall Ranger Station Snotel...     2 inches. Boulder Rearing Station...           1 inch. East Rim Divide Snotel...            1 inch. Triple Peak Snotel...                1 inch. 14 NW Pinedale...                  0.8 inches. Daniel Fish Hatchery...            0.5 inches. 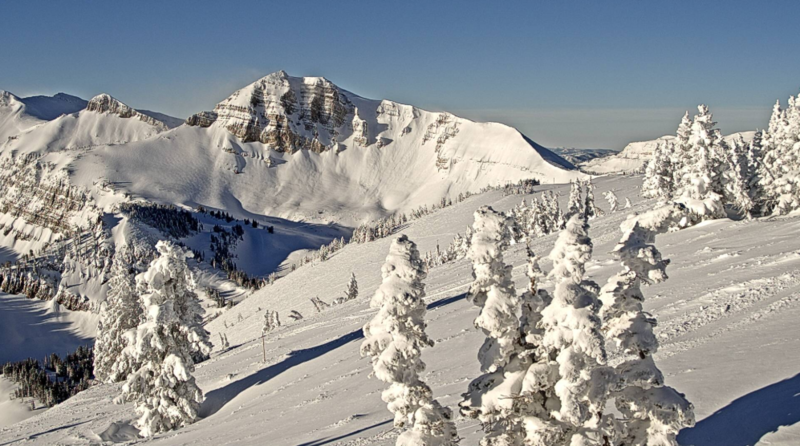 Jackson Hole - Rendezvous Bowl...    6 inches. 5 NW Jackson...                      6 inches. Jackson Hole - Raymer...           5.5 inches. Phillips Bench Snotel...             5 inches. Granite Creek Snotel...              5 inches. 2 NE Teton Village...              4.5 inches. Grassy Lake Snotel...                4 inches. Gros Ventre Summit Snotel...         4 inches. Jackson Hole - Base...               3 inches. Grand Targhee - Chief Joseph...      3 inches. Togwotee Mountain Lodge...           2 inches. 12 NE Jackson...                     2 inches. Middle Powder Snotel...              8 inches. Thumb Divide Snotel...              10 inches. Lewis Lake Divide Snotel...          9 inches. Lamar Ranger Station...              5 inches. Yellowstone East Entrance...         4 inches. Tower Falls Ranger Station...        4 inches. Sylvan Lake Snotel...                4 inches. Parker Peak Snotel...                3 inches. of a Canadian cold front that plunged south across the area Monday. gusts from the southwest Sunday night ahead of the cold front.